Kurt Busch ran his first NASCAR race on Sept. 24, 2000 driving a Ford Taurus for Roush Fenway Racing. Busch won Ford’s last championship in 2004 driving Roush Fenway’s No. 97 Ford Taurus and won Ford’s last Daytona 500 driving the No. 41 Haas Automation/Monster Energy Ford Fusion for Stewart-Haas Racing (SHR). He owns two Ford GTs and has a letter from Edsel Ford from when he won at Michigan International Speedway in Brooklyn in June 2003. 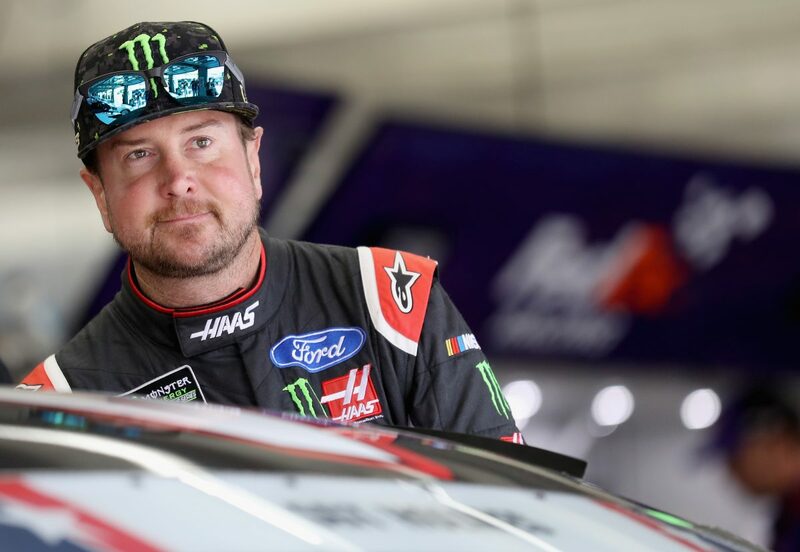 All of this would explain why Busch is excited to be part of the manufacturer’s unveiling of the Ford Mustang in Dearborn, Michigan, which will debut in the Monster Energy NASCAR Cup Series in 2019. The Mustang follows the Thunderbird, Taurus and Fusion, which have been the only Ford models raced in the Cup Series since 1972. Busch has driven all but the Thunderbird in competition and is looking forward to racing the Mustang next year. He has three wins at Michigan, site of this weekend’s Consumers Energy 400, which puts him in a tie with Matt Kenseth and Kyle Larson for most among active drivers. And all three of Busch’s wins came with different teams. He scored his first win at Michigan in June 2003 driving for Roush Fenway, then backed it up with a victory in August 2007 with Team Penske. His last Michigan win came in a rain-shorted race with SHR in June 2015. Busch also qualified on the pole at the 2-mile oval in June 2010, 2011 and this year, and he’s scored six top-five finishes there. This weekend, he’ll be looking to take Ford back to victory lane at Michigan, which is about an hour from the Detroit area, where Ford is based. The blue oval has a long history at Michigan, winning nearly half the races run there since the track opened in 1969. Of the 98 NASCAR Cup Series races contested at Michigan, Ford and its Mercury brand have combined for 48 wins – 36 by Ford and 12 by Mercury. One of those is Busch’s June 2003 win at Michigan, when he snatched the lead from Jeff Gordon with 24 laps to go to claim his seventh career Cup Series win. The Las Vegas native has six top-12 finishes, including his June 2015 win, in his last seven Michigan starts. He’s hoping to score many more victories in Ford’s backyard. You won the June 2003 Michigan race for Ford almost 100 years after the company was formed. Can you talk about what you remember from that experience? What’s been the key to your success at Michigan? What do you feel like is the toughest part of Michigan? What does it take to be fast at Michigan?